This sword guard is made of iron. It is a little rusty. 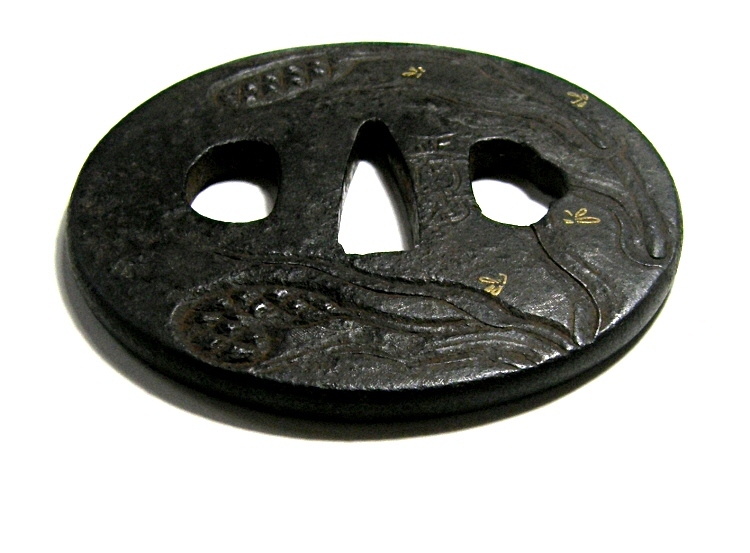 Although, the color of this tsuba is nice as it is forged well. 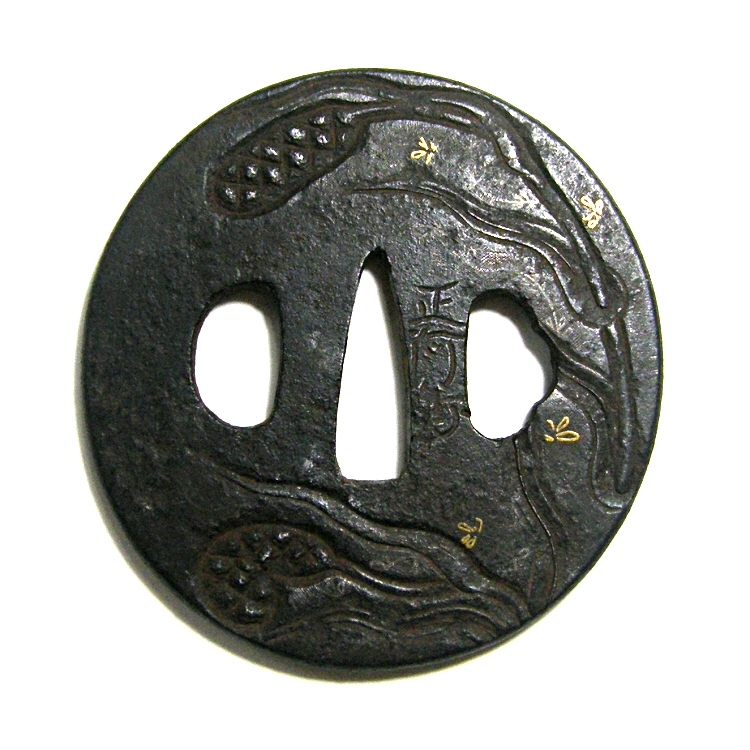 Millet grass (foxtail) is expressed in carving and the Zogan inlay with gold. 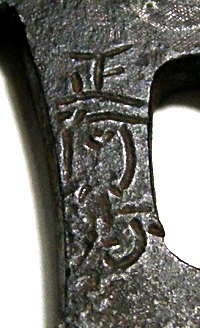 There is an inscription "Shoami" on it. 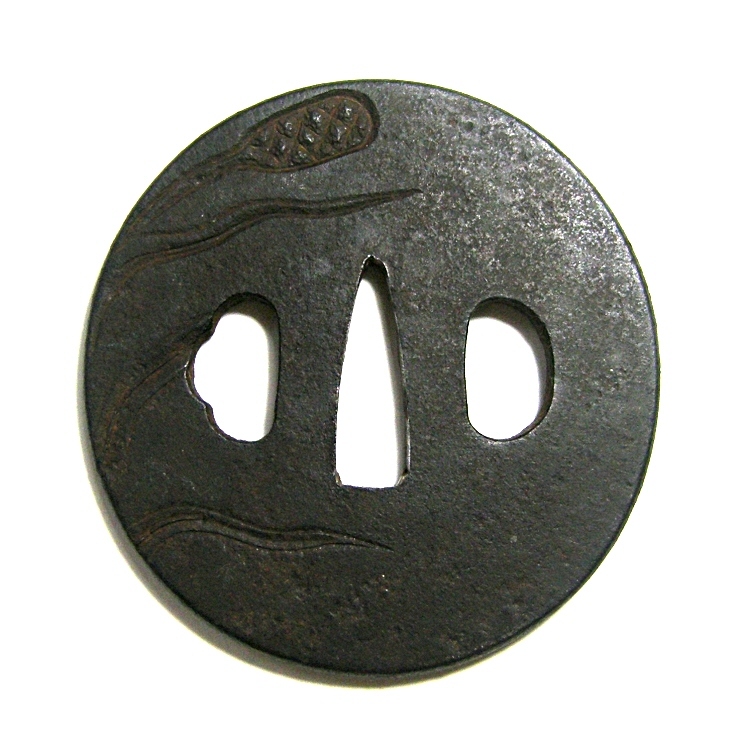 So, this sword guard is made by a craftsman belonged to the Shoami school.